ALAN Pardew has admitted Newcastle United’s transfer plans may have changed after Manchester United claimed to have rejected a bid for Ravel Morrison. The Magpies manager yesterday denied all knowledge of an offer for the troubled teenager, but did not refute any interest. Newcastle are also thought to have renewed contact with Paris-Saint Germain over summer target Mevlüt Erdinç, suggesting a shift in policy from the stance taken late last month that they would only look to sign a centre-back. Newcastle failed to agree a fee with PSG for French-born Turkish international Erdinç in the summer as they tried in vain to fill the fabled No 9 shirt. 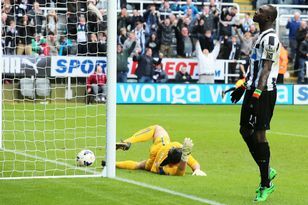 Pardew admitted the injury which ruled Sammy Ameobi out for the rest of the season may have changed his January policy. “Even now with the window open everyone will react to injuries,” he said. “It can change your outlook a little bit. Ameobi is a pacy attacker who has been used wide in his brief first-team career. His injury has left Newcastle light on wingers. Sylvain Marveaux, out with long-term groin trouble, is yet to establish himself in the starting line-up at St James’ Park. Gabriel Obertan will be considered for tomorrow’s Premier League visit of Queens Park Rangers, but continues to be troubled by an infected toe which has coincided with a poor run of form. Morrison – reckoned by many to be one of the most gifted players ever to emerge from the Red Devils’ academy – is in essence a No 10, but can play in a variety of attacking positions, including on either flank. His contract is due to expire this summer and Sir Alex Ferguson suggested yesterday the 18-year-old’s “unrealistic” demands had stopped him agreeing another. The star performer as the Red Devils won last season’s FA Youth Cup, Morrison has made only three substitute appearances for the first team – all in the League Cup. Off-field indiscipline rather than any shortage of talent appears to have been the main obstacle to his first-team progress. That said, Paul Scholes’ surprise decision to come out of retirement has forced him further down the pecking order. Morrison has had a chequered history of scrapes with the law and last year pleaded guilty to two charges of witness intimidation. In 2008 he was charged with assaulting his mother. “We have rejected an offer from Newcastle,” said Ferguson. “His agent has been working hard to get him another club. Morrison’s agent, Nick Rubery, also represents Magpies striker Nile Ranger. Asked about Ferguson’s comments, Pardew responded: “I think it’s important for us to keep what business we’re doing in-house. There’s been no communication certainly from manager to manager but sometimes those deals are taking place behind the scenes. The Journal understands that, while a first bid may have been lodged, stories of a second have no foundation. Manchester City have also been credited with an interest in Morrison, who can leave at the end of the season for a tribunal-set compensation fee if necessary. Demba Ba and Cheick Tioté have had mixed fortunes in their preparations for the Africa Cup of Nations. Ba scored the only goal in Senegal’s warm-up win over Sudan on Thursday, but Tioté was sent off in Ivory Coast’s 2-0 victory against Tunisia yesterday. He received a straight red card for a wild challenge on Mejdi Traoré. However, despite the dismissal, the United midfielder will be free to play in his country’s opening group game at the tournament – against Sudan on January 22. THE last five days have been a reminder of why the Premier League is so loved around the world – Manchester United humbled by Blackburn Rovers, Sunderland beating Manchester City, Chelsea shocked by Aston Villa.